America loves its massive luxury SUVs. Nothing says American suburbanite superiority like an over-sized luxury SUV with a fuel-sucking V8. This is especially true in Beverly Hills, where Range Rovers and Mercedes-Benz G-Wagens are as common as Botox and spray tan, respectively. So it’s only fitting that the BMW X7 is making its official debut at the L.A. Auto Show this November. Ahead of that, though, BMW teased its X7 on Facebook just a few hours ago. It seems like we’ve seen a lot of the BMW X7 as of late but, honestly, we’ve mostly been looking at the ungainly X7 Concept and heavily camouflaged test mules. So this is really the first time we’re getting to see the front end of it. 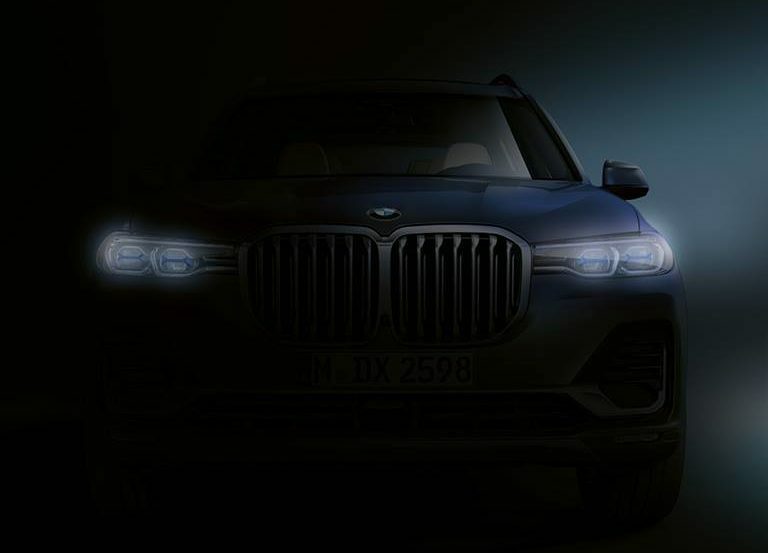 In this new teaser photo, we just get a head-on shot of the new BMW X7, flared nostrils and all. It’s in the shadows, so we can’t see it in its entirety, but we can get a good enough idea of what its front end is going to look like. Those front Kidney Grilles are simply enormous, comically so. What’s funny is that its headlights are quite slim and small by contrast. Or maybe they aren’t and they just looks slim and small next to the gaping grilles they’re attached to. The headlights do look good, though, and it there seems to be some large front air intakes underneath them, possibly indicating an M Sport package on this specific car. We make fun of how simply massive the features on the front end of the BMW X7 are but, in reality, its clientele base will likely love it. So it probably makes a bit of sense to give it those swollen, exaggerated features. We’re curious to see what the BMW X7 is like in person, sans camouflage. Horatiu already drove it in South Carolina but those were pre-production test mules he was in and not the final product. So we’ll see in L.A. Might even get some Botox while we’re there.